Remember that time we made malted almond milk? That was fun. 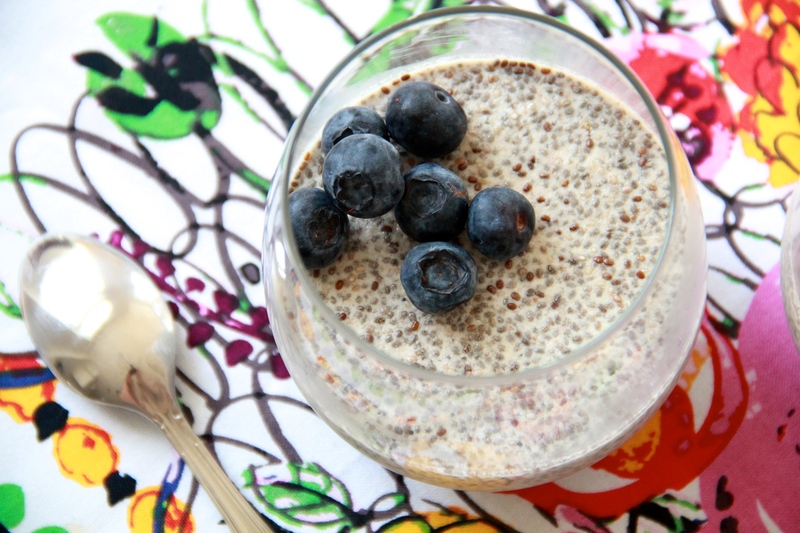 I used it to make smoothies, and when I still had some leftover – chia pudding! As you may have noticed (or maybe not because pie), I’ve been experimenting with a bit of a healthier approach towards eating these days. I haven’t cut anything out or made anything off limits, so there will still be plenty of doughnuts and also lots of cookies, I’ll just supplement with lots of salads and soups and whole grain banana bread affairs (coming soon). 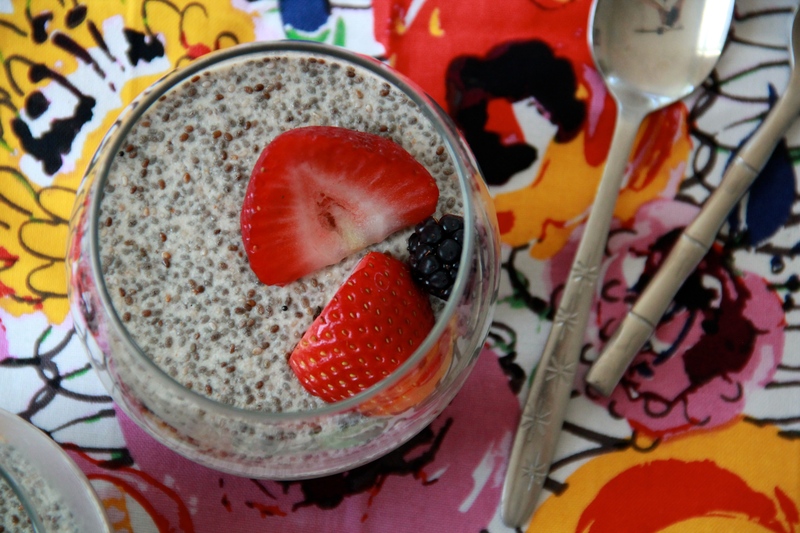 And chia pudding! 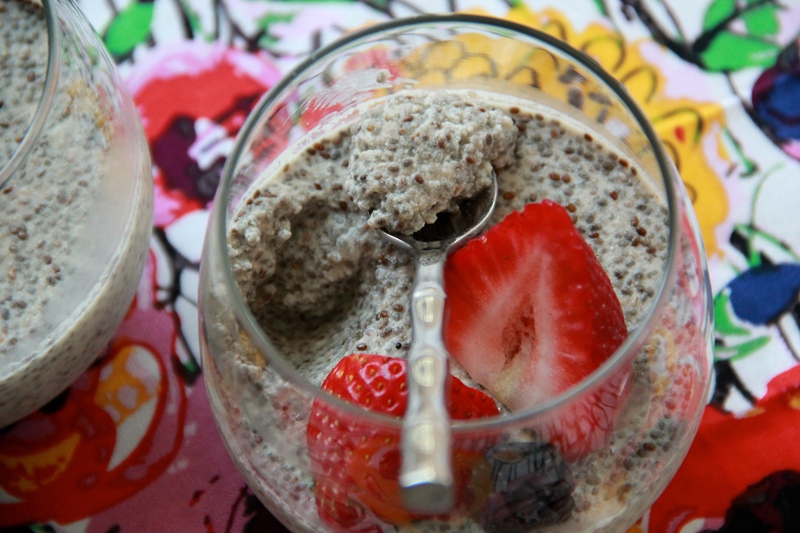 Have you ever tried chia pudding? I won’t lie, it’s kind of weird. It’s a texture thing. If you’re not into tapioca things, you probably won’t be into this thing. It’s just chia seeds (which are naturally grain and gluten free and are the richest plant source of Omega-3, so that’s probably good) simply mixed with almond milk, some salt and vanilla extract, and then BOOM. Pudding. The little chias soak up everything in the land — everything! — and then sort of gelatinize and thicken up, which is pretty amazing and ultimately means we can eat pudding for breakfast. I’m okay with it. Chia pudding’s definitely not a new thing, but it’s new to me and I’m excited to experiment with different flavors — maybe next time I’ll add some cinnamon or roasted fruit or coconut milk… so many options! This version’s not very sweet (I’m sure you could add your favorite sweetener if you like) but I like that about it. It’s richly almond-y, and the chia seeds heft everything up and are really filling. In general, it just feels wholesome and good. I kind of want to try making a warm version, which to me seems like a cozier option for breakfast. 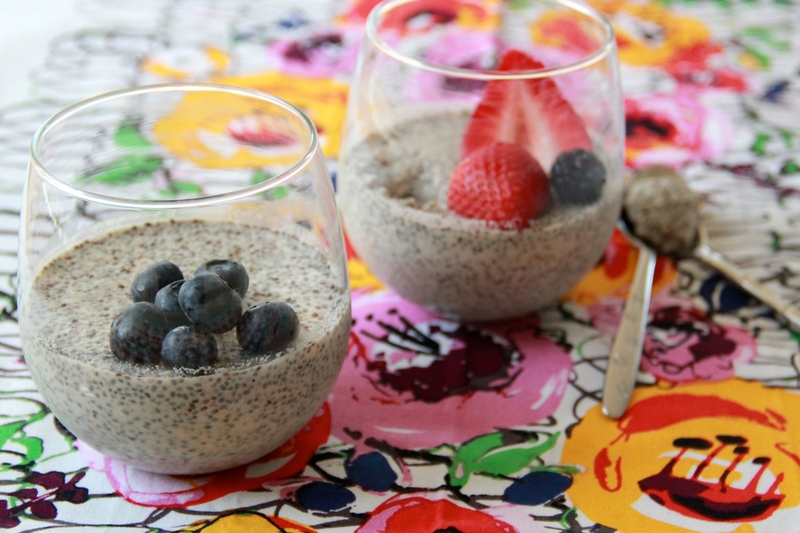 Have you ever tried chia pudding? Into it, or no go? You can easily swap out regular almond milk (or any other kind of milk, nut- or otherwise) instead of the malted, and feel free to play around with different flavor additions. These are also easy to make in advance — just mix up the puddings at night, let them sit, covered, in the fridge while you sleep, and breakfast will be ready (and ready to take on the run) when you wake up! In a medium bowl, whisk together all of the ingredients. Pour the mixture into small cups or bowls (about 1/2 cup per serving), and allow the pudding to set up in the fridge for 20-30 minutes. Enjoy slightly chilled, with plenty of berries or nuts on top. Puddings will last, wrapped air-tight, in the refrigerator for 4-5 days. YUM! I’ve been making chia pudding as my on-the-run snack for a while now, but I REALLLY want to try with your malted almond milk recipe. I’ve tried with coconut milk and it does not work very well. VIVA NUT MILK!